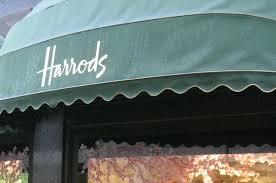 A probe is underway as to whether a woman diagnosed with a fatal asbestos-related cancer may have breathed in the fibres of the deadly dust in tunnels beneath Harrods during her time there as a lingerie seller. The concerns of lawyers for 75-year old Hertfordshire resident Sandra Schaverien show once more how crucial asbestos air testing can be for so many British workplaces. Schaverien was left “shell-shocked” by the news that she has developed the terminal cancer of the lining of the lungs, mesothelioma. She believes it may have arisen from when she used to walk through the Knightsbridge department store’s underground tunnels during her time working there between 1991 and 2001. The mother-of-three would use the tunnels to access the store and collect merchandise, and remembered them as “very dusty”, according to asbestos lawyer at Irwin Mitchell, Helen England. The firm is helping Schaverien to establish how she came into contact with the lethal dust, and has appealed for her former colleagues to get in touch. Here at Trident Surveying, in case of any doubt, we would urge you to enquire today about asbestos air testing for your organisation that could help to prevent future tragedies for your own current employees.